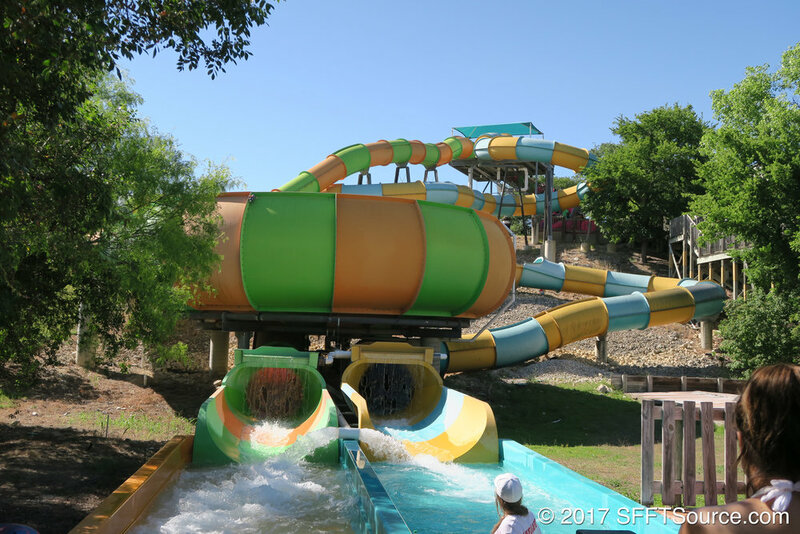 Located in White Water Bay, Whirlpool is a high-thrill water slide attraction. Sharing a tower with Big Bender, guests can choose to ride in a two-person tube or ride by themselves. The slide features a unique "bowl" ending in which riders are flushed out of the slide.